Wednesday, May 7th 2014 and Tuesday, July 29th 2014. For most of us, those days have no special significance. In fact, the gross majority of us would have a hard time remembering anything specific from either of those days, other than they were just two random summer days. 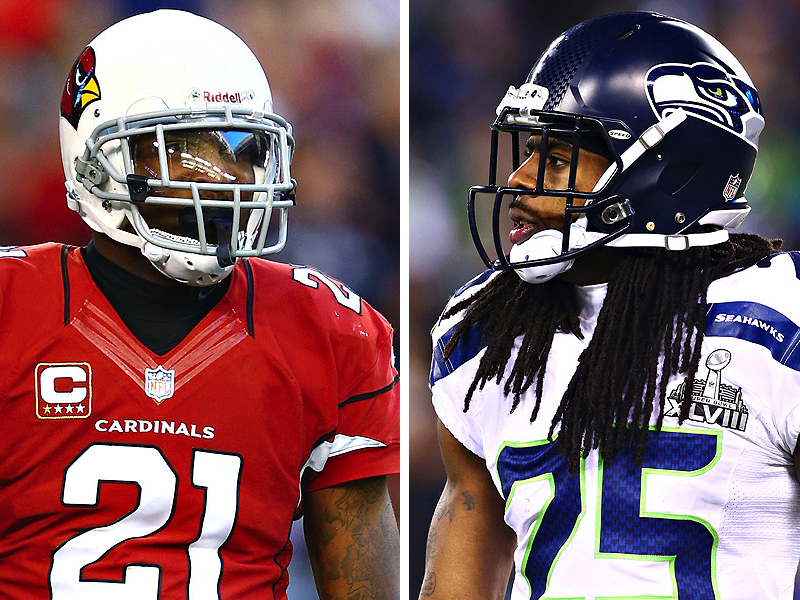 That’s not the case with Richard Sherman & Patrick Peterson. Both have vivid memories of those days for very similar reasons. On Wednesday, May 7th 2014, Richard became the NFL’s highest paid cornerback by signing a 4 year extension worth $56 million with $40 million of it being guaranteed. However, the title of “highest paid cornerback” was short lived as just two short months later, the Arizona Cardinals signed Patrick Peterson to a 5 year extension worth $70 million with $48 million of it being guaranteed. Can anyone say, healthy competition? We hope you are as excited as we are to watch the two best cornerbacks in the world get ready for another amazing season of interceptions, game changing plays, record breaking performances and of course legendary post game comments. ION ME couldn’t be prouder to have these two superstar players as part of the ION ME family.